Wow, what a busy month it has been! A lot of cooking, feeding and writing….and celebrating! It’s Diwali folks! 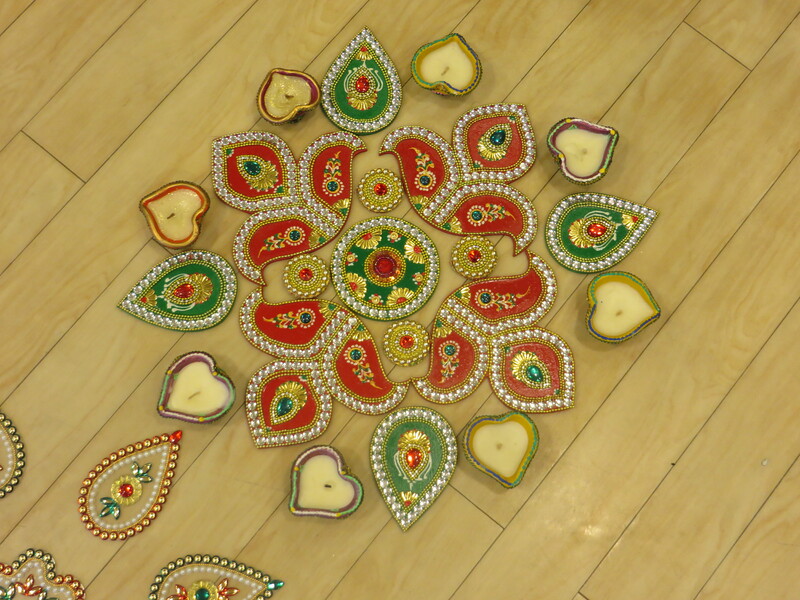 Diwali is a festival of lights and is one of the biggest Hindu celebrations that happens every Fall. The celebrations last for 4-5 days. Without getting into super esoteric conversations (this is a baby food blog after all), Diwali celebrates the victory of good over evil, of lightness over dark. People all over India and the world celebrate by dressing up in fancy clothes, doing prayers, and shooting off fireworks (illegally if you are in my neighborhood. Last time I checked rocket blasters were illegal in suburban NJ. My rule-loving lawyer self gets very bothered by this, but I digress). People also eat during Diwali. And eat. And eat. And eat. There’s seriously no end to the eating! It’s like Christmas, Fourth of July, a Seder or two and a whole blast of Thanksgiving meals wrapped into five days of indulging. Or something like that. I’m still working on being a writer, guys. 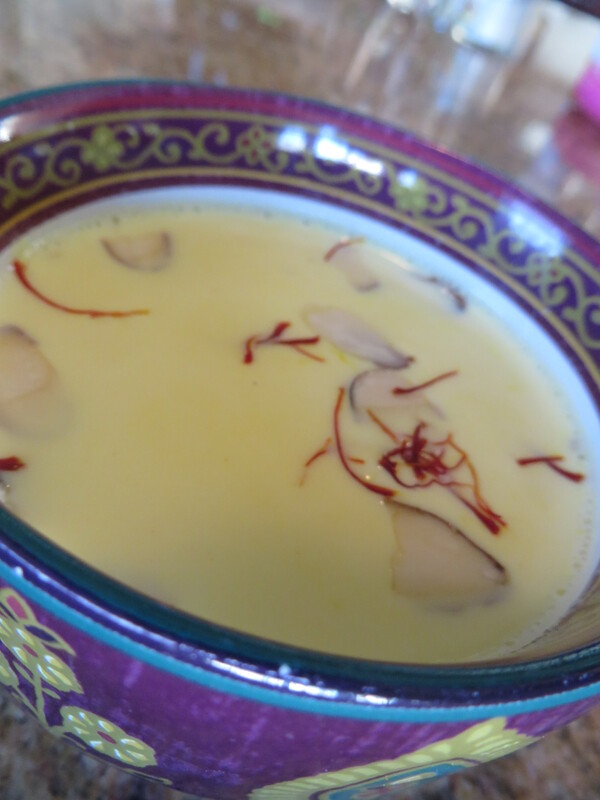 Kheer with saffron, cardamom and almonds. The recipe is simple! I boil milk, basmati rice, saffron, cardamom, sugar and sliced almonds together until thickened. The milk is a familiar and comforting taste for toddlers…spicing it up adds dimension and adds new (often adventurous) flavors. 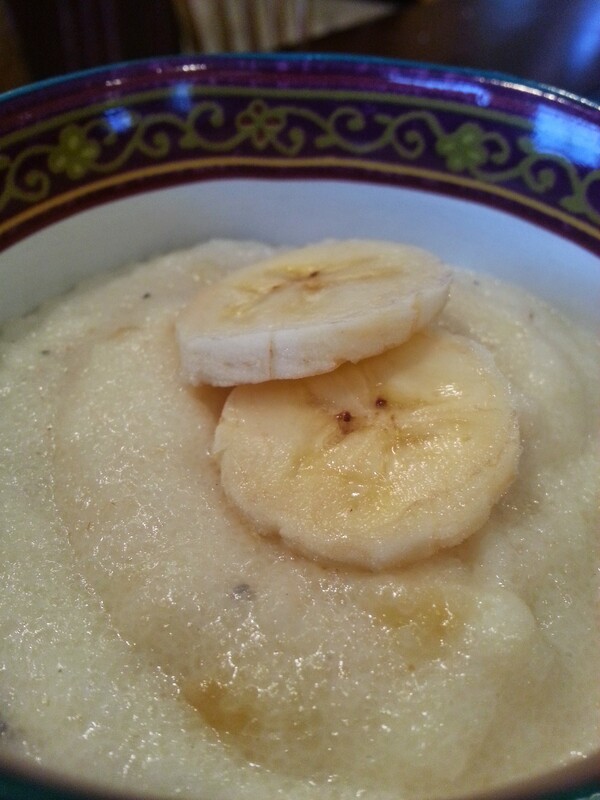 Banana and Cardamom Sooji for baby. Festive and flavorful! Diwali is a great excuse to introduce new foods and flavors. And not just Diwali. Thanksgiving, Christmas and other upcoming holidays all offer opportunities to introduce spices to your baby. Stay tuned!